A couple of years ago I wrote an item for the Gazette about the Hopkins brothers. This resulted from one isolated mention of them in the history of the Anerley Bicycle Club. This and other information from the internet provided the material for my article. Then, 18 months later and out of the blue, our club web site received an e-mail from Saskatchewan. James Hopkins, the grandson of O.J was researching the family history and hoping that the Anerley Bicycle Club could help with some info. Unfortunately not! But James was able to provide information for our club archive. It transpires that G.L and O.J were a bit more than just “keen clubmen”. Copies of some Anerley Gazettes from 1903 to 1906 were forwarded to me, showing that both had been Racing Secretaries of the Anerley, with a bevy of racing successes to their names on both road and track. 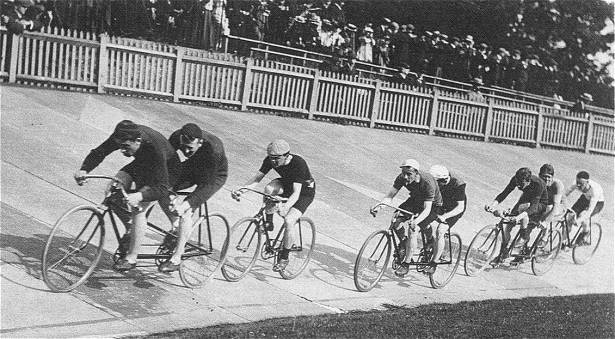 Whilst both raced solo, their forte was to pair up in tandem races, achieving national records in 1903. These records were surpassed, and more added in 1904 during the Anerley B.C 100 at Crystal Palace. Their record breaking ride, shown above, even made the front page of the national newspaper, Sporting Life! 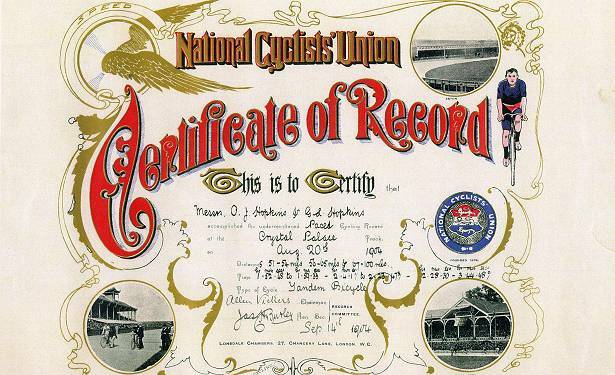 Another memento from 1904 is their National Cyclists’ Union Certificate of Record. But what about the reference to two Anerleys? What could the current day Hopkins family add to this bit of the story? It transpires that the father of G.L and O.J had been an important Post Master in London before his death circa 1905. 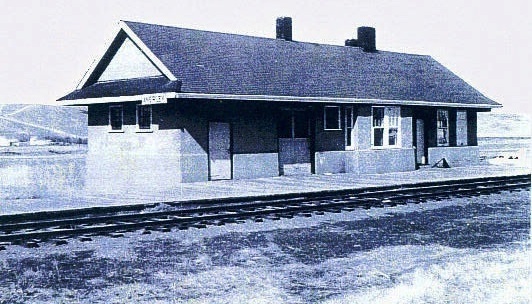 His death was a major factor in his widow, and the brothers’emigration to Canada. Taking a leaf from his late father, O.J decided to open a post office in the little settlement where they were now living. 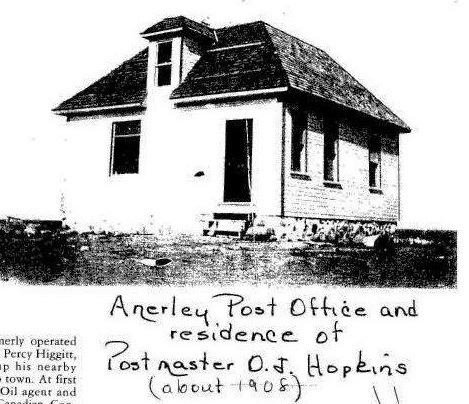 The post office and settlement than had to have a name, and as we already now know, O.J proposed the name “Anerley.” I have also been sent a photo of this post office, and the later addition to Anerley of its own railway station. You can just see the name “Anerley” on the front left corner. So this is a bit more of the story about there being another place named Anerley, in memory of happy days in our bicycle club.